Edwards, 52, was presented to the media in August 2018 when he talked of "testing himself" in league, having coached exclusively in union. However, after a successful Six Nations campaign as part of Warren Gatland's Wales coaching team, Edwards is expected to remain on the staff. 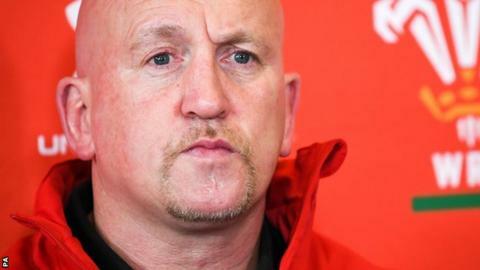 "I will not be taking up the head coaching role at Wigan," Edwards said. "The reason is my lack of preparation. World Cup preparations have been brought forward a month and, as a result, I will be unable to spend eight weeks in Australia as planned on rugby league. The first signs that Edwards would not return to his boyhood club surfaced earlier this year when he confirmed there was not a written contract in place for him to join Wigan - only a verbal agreement. Edwards, who played in all eight of Wigan's consecutive Challenge Cup wins and featured in every game of every round between 1988 and 1995, was part of Wigan's late 1980s and early 1990s dynasty in which he lifted every available honour. Warriors chairman Ian Lenagan added: "He clearly feels that he is not the best man to take the team forward currently and I have to respect and accept this. Wigan appointed former player Adrian Lam as an interim coach for this campaign, to fill the gap before Edwards' anticipated arrival in 2020. "For us now our next steps are to confirm the coaching structure for 2020 and beyond," Lenagan said. "We need to draw a line under the last few months and give our loyal fans the clarity they deserve. The statement today that a lack of "preparation time" means he won't be coming back to Wigan reads like a piece of diplomacy aimed at saving some face for both him and the club.